Amerson River Park is in the Championships and needs your votes and pictures! 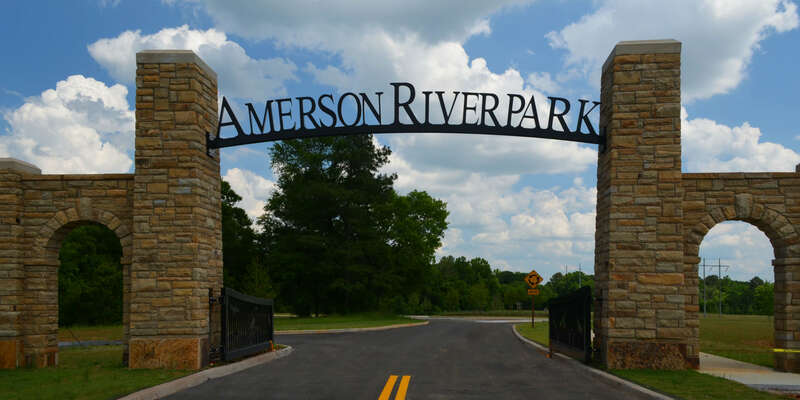 Amerson River Park has officially made it to the Championship Round of the #ELGLKnope Awards through Engaging Local Government Leaders, which means it is ONE step away from being named the Best Park in the Country. To earn that honor, it needs your votes and Instagram pictures by 3:00 p.m. on Saturday, April 6. 1) Post LOTS of pictures of the Park (any picture will do) to Instagram. The more pictures you post, the more points the Park gets, so take lots of them. 2) Make sure to use the hashtag #ELGLKnope. 4) Encourage others to vote and share lots of their pictures. “The response to this has been overwhelming,” says Interim Parks & Beautification Director Randell Hunt. “It's been great to see so many people posting their favorite pictures and telling the country why it deserves to be named the best park in the country." In its third year, the Knope Awards recognize local government places, and this year, they are honoring local parks. (In previous years, the recognized libraries and city halls.) The competition is modeled after March Madness, and Amerson River Park has made it to the Championships where they face the McCormick-Stillman Railroad Park in Scottsdale, AZ The only way for Amerson to win is for people to cast their votes online and post pictures of the Park to Instagram using the hashtag #ELGLKnope.